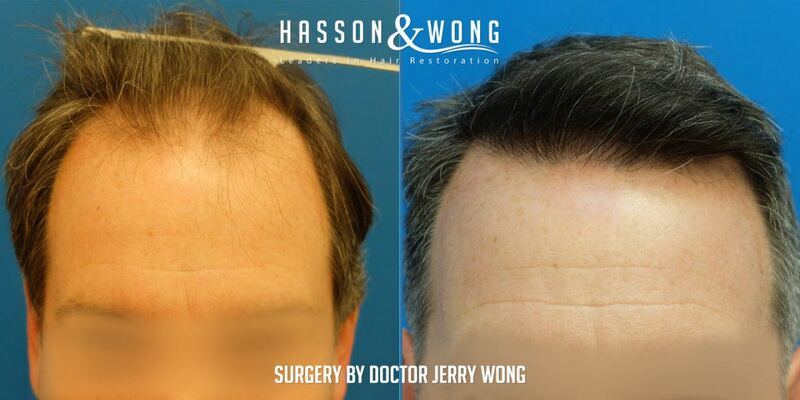 Dr. Jerry Wong FUE hair transplant. 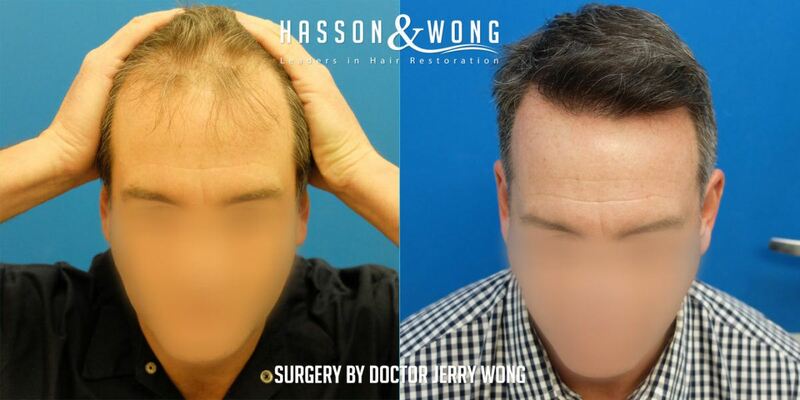 Another outstanding FUE result from Hasson & Wong hair clinic. Patient is 50 years old, male, norwood class 3. 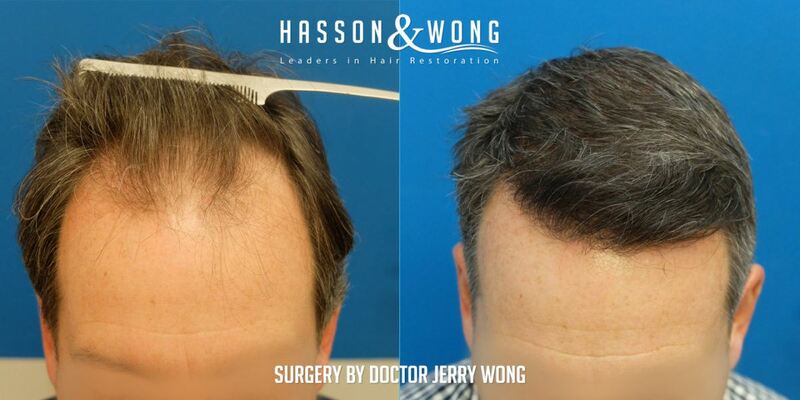 This result shows remarkable transformation using only 1862 grafts FUE under the hands of Dr. Jerry Wong. Most other clinics would easily require 2500 - 3000 grafts or more in order to achieve similar coverage. H&W has clearly established itself as a world class clinic for FUE procedure. 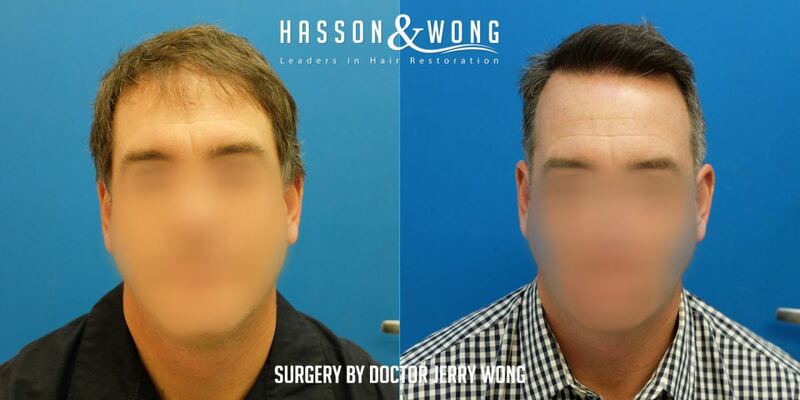 To find out more about the type of hair restoration procedures offered at Hasson & Wong, go to www.hassonandwong.com or email info@hassonandwong.com. Free consultations also available in major cities across US, Canada and Europe on a monthly basis. Click http://hairsite.com/free-hair-transplant-consultations/ for details. This is an insanely good FUE result !!! The FUE yield is phenomenal! Love the yield, the density and the non aggressive hairline design. I am not doubting Hasson and Wong, well maybe I am ; this one does look too good to be true.